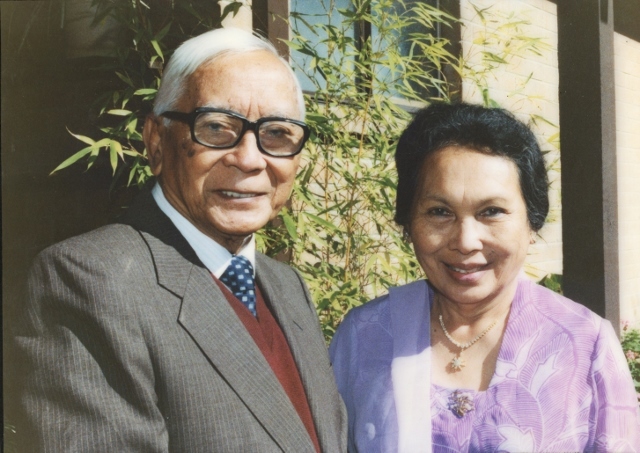 On 16 January 2014, Suprati Achdiat passed away in Canberra at the age of 96. Suprati Noor, known as Tati, was the first child of a prominent business couple in Garut, West Java, then part of the Dutch East Indies. She was nine when her mother died from tuberculosis, and she took over responsibility for the household, looking after her father and four siblings. Her father passed on his management expertise to her, and she became confident and quick thinking. In 1938 she married the writer Achdiat Karta Mihardja, who was from a noble family. Their parents had opposed the marriage because tradition dictated that people should marry within their own class. Tati left home and went to stay with an aunt in another city and this, the first step toward elopement, forced their parents to consent to the marriage. Tati’s resourcefulness helped the family survive during the hard times of the Japanese occupation and the subsequent revolution against Dutch rule. Achdiat joined the newly formed Indonesian army as an intelligence officer. When a Dutch military unit came for Achdiat, Tati deceived the soldiers and prevented his capture. This event, together with many others from her life, is related in Daughter of Independence, the life story of her daughter Wenny. Tati was a proud, strong and dignified woman who was known for her generosity and willingness to help people in trouble. She shared Achdiat’s values of social justice and human rights, and supported his participation in literary, intellectual and political circles. Highly skilled in cookery, dressmaking and financial management, she exercised total control over household and financial affairs. Like many husbands in Indonesia, Achdiat handed over all his wages to his wife to manage. His salary was low, and he refused to profit from corruption, but Tati earned extra by setting up her own business, buying and selling batiks and taking in boarders. In this way she was able to finance her children’s education. 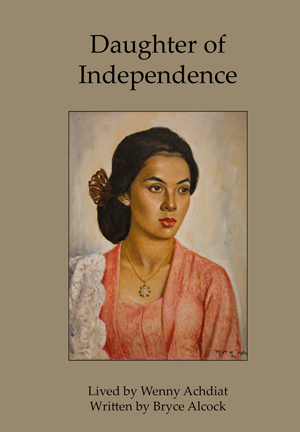 In 1961 Tati persuaded her reluctant husband to accept the offer of a position teaching Indonesian literature and culture at the Australian National University. She took to Australian life straightaway, made many friends in Canberra, and refused to budge when Achdiat wanted to return to Indonesia after he retired. Tati and Achdiat remained completely devoted to each other for the 72 years of their marriage. They were inseparable, constantly talking, complimenting each other, always touching, holding hands, hugging. Towards the end of Achdiat’s life his eyesight deteriorated, and Tati became his eyes, reading to him in bed every night, often from one of his own books. “Tati and I are already one soul,” Achdiat said shortly before he died in 2010. Tati is survived by three of her four children, ten grandchildren and nine great grandchildren. She is buried beside her husband in the Muslim section of Canberra Cemetery. Thank you, Paul and Delima. I will pass on your condolences.